Empty this little vial into a hot drink or hot food, wait about 10 minutes, and stand back! 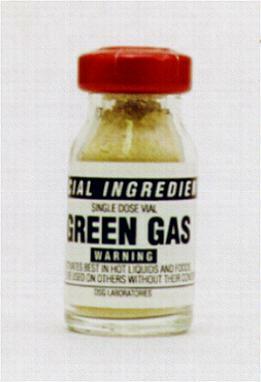 The natural herb in this elixir will cause major "natural gas" explosions every few seconds. No matter how hard your mark tries to hold back, there's no stopping these embarrassing eruptions. Warning: not to be used on others without their consent.